In her seventies, she was the oldest one in her class by several decades. She enjoyed the interaction with the “kids” and reminded them how important it was to grow and learn every day. Mary led by example as she went on to earn her Master’s Degree in Christian Counseling at age 78. Mary was the most spiritual person I have ever known. She was not one to just sit in the pews, listen to the pastor every Sunday and go home. She committed time daily to pray, read the Bible and study the scriptures. She would attend workshops and conferences on the Church at every opportunity. She possessed spiritual gifts of compassion and love for those going through valleys of life. There was an understanding that these gifts were from God and that it was her responsibility to grow in order to use them effectively for the Kingdom. She unofficially counseled many people with a compassionate ear and loving heart long before she earned her degree. No one who lives on milk alone can know the ins and outs of what it means to be righteous; that’s because he is only a baby. But solid food is for those who have come of age, for those who have learned through practice to distinguish good from evil. – Hebrews 5:13-14. Milk is going to church, listening to the pastor and going home. Solid food is knowing the “ins and outs of what it means to be righteous.” This requires wisdom from the Word of God. Those that “have come of age” are to read His Word, study the scriptures, pray, fast and grow in a personal relationship with Christ. Then the ability “to distinguish good from evil” is grounded in Him. A pastor recently cited a study documenting that 80% of folks in congregations across all Christian church lines are not growing in the faith. They are what might be called comfortable Christians – they go to church, listen to the pastor and go home. They are not learning “through practice to distinguish between good from evil.” Thus the line between good and evil can become fuzzy in the home and may disappear altogether for the next generation. This is a surrender to worldly influence when the Church has been empowered to be a Kingdom influence in this world. Prayer guide: My Father, thank You for Your Word and Your love. 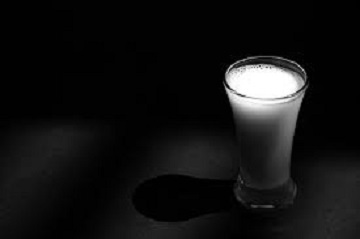 I confess I have lived on milk and too often sit back as a comfortable Christian in this world. I have taken gifts You have given me for granted; I have failed to accept responsibility for and to grow in those gifts; and I have glorified me more than I have glorified You. Forgive me. Grant me strength to press through this lethargy and to grow as You call me to. I know the next generation is watching and I need to lead by example through my daily due diligence to grow in relationship with You. Help me be the God glorifier You expect me to be, that the next generation needs to see. Amen. A faithful father does not live on milk alone but grows in the Word of God.